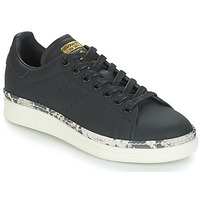 These low top trainers from Adidas Originals are an essential, an absolute must-have. Trendy and comfortable, this pair comes in a stylish black colour and a leather upper. The rubber sole and the comfortable leather lining make them a must-have. Perfect for any occasion and in every season!